The best rendition of “Mr. Bojangles” ever performed was by Mr. Sammy Davis Jr. In my opinion, the second best rendition is by a unknown performer at the end of the Santa Monica Pier. His setup was not the stage of a high class music hall with professional lighting and a backup orchestra. It was a simple one mic, one guitar, an umbrella and a little puppy name “Angel”. 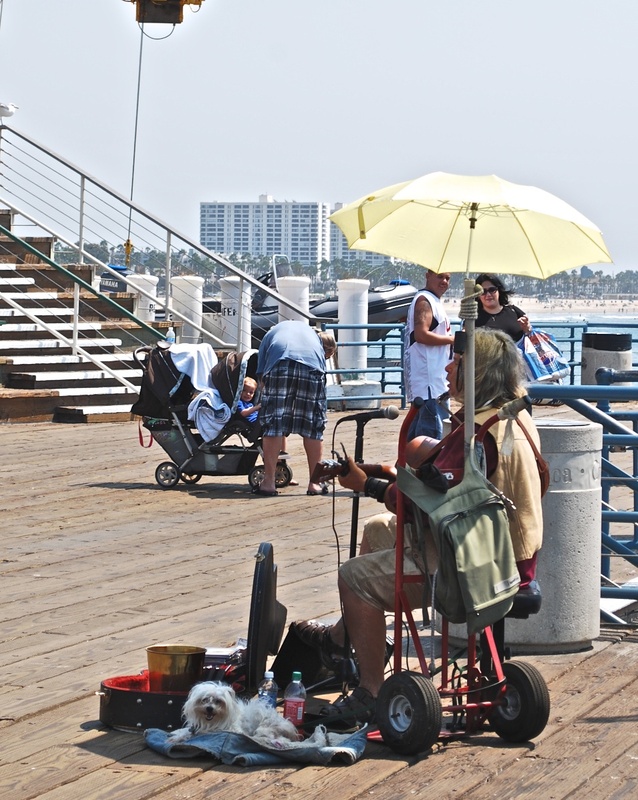 At first I ignored this lonely singer as I was taken in by my surroundings of the pier and the ocean. I was at the Santa Monica Pier!! However, when the singer started “Mr. Bojangles”, I couldn’t help but take notice. Now, I don’t know if it was the atmosphere that made his performance so haunting but it came together so well.